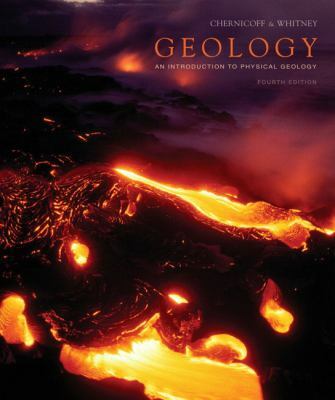 This book teaches whateveryoneneeds to know about geology and how science and scientists work. Readers will discover a new appreciation for their surroundings, learning how to prepare for any number of geologic and environmental threats and how our Earth can continue providing all of our needs for food, shelter, and material well-being as long as we don't squander these resources.The latest discoveries in the geosciences are covered, including Earth systems interactions, continental tectonics and mountain-building, a vastly expanded treatment of the geologic timescale and the evolution of life, and more. Up-to-the-minute examples of exciting geological processes are presented, such as the most recent volcanic eruptions, earthquakes, tsunami, floods, and discoveries on Mars and on the Earth's own seafloors.For anyone interested in exploring how physical geology impacts the world around us.Chernicoff, Stanley is the author of 'Geology An Introduction To Physical Geology', published 2006 under ISBN 9780131474642 and ISBN 0131474642.